No One Told Her to be Careful or Choose Another Ring. 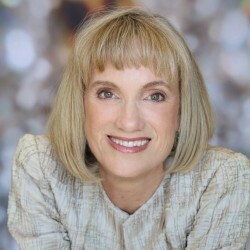 After selling her retail shop in downtown Santa Barbara, Mona realized her childhood dream when she and her husband, Jake, bought a ranch in the Santa Ynez Valley. I am a horse loving jeweler. Happily one of my horseback-riding friends in Santa Ynez was a client and gave her my number. When we met for the first time, Mona had been raising and training horses there for the past six years. And her wedding jewelry wasn't working. She had quite wearing her ring six months ago. 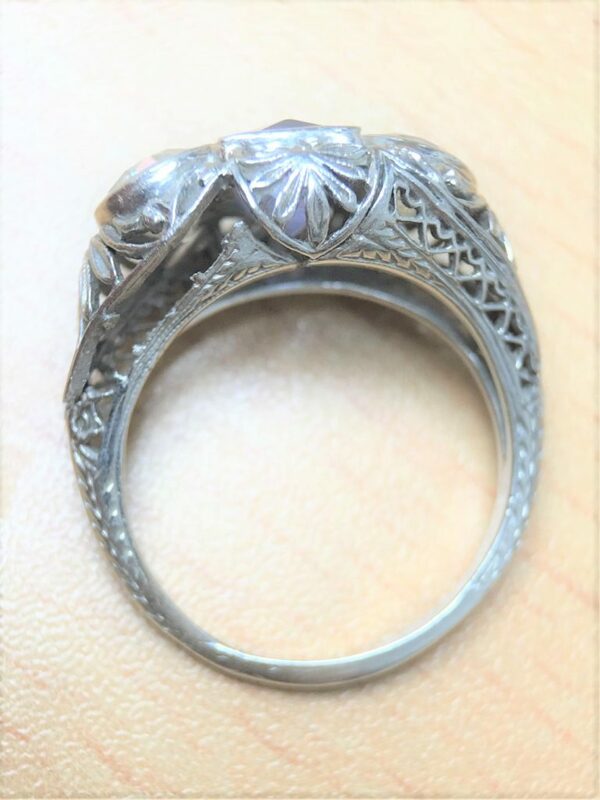 Two side diamonds were missing and the filigree detail on the sides was bent and broken. It was a pretty design and esthetically, the ring looked good on her. The problem was that it just wasn’t a very strong ring. It wasn’t made to be worn everyday—especially on a ranch! Mona mucked out stalls, hauled bales of hay, picked out pebbles from horse’s hooves, repaired corrals, and of course, rode horses. Everyday! While wearing her wedding ring! Unfortunately, the ring was created to be worn only occasionally. It was fine for going out to dinner or to the annual Christmas party. 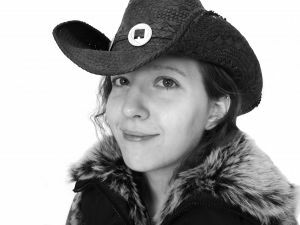 Wearing it daily doing manual labor on a horse ranch, though…? No! I enlightened Mona on the differences between wedding jewelry constructed to be worn everyday versus rings meant to be worn only occasionally. There are four points I look for in a ring made for daily wear. 1. 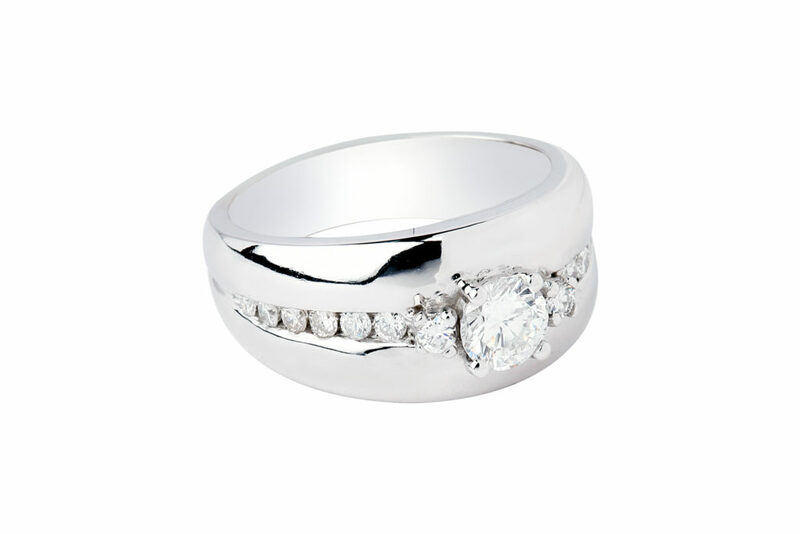 A wide, strong shank that won’t bend and that will properly support the crown or top portion of the ring. 2. Thick, strong settings: prongs, channels, and bezels. Bezels and channels provide more protection than prongs. 3. Gemstones set in such a way that there edges aren't exposed so they could get chipped. 4. Strong, well constructed design features. Finishing features that hide scratches like hammering, engraving or matte finishes. I replaced the two missing diamonds, fixed the filigree, and polished the ring so it sparkled. I explained that if she continued wearing the ring daily around the ranch, she could only expect it to need more repairs in the near future. Sadly, I was right. Six months later, the shank had cracked at the filigree section and a good chunk of the edge of the center diamond had chipped away. I would have believed her had she told me she’d accidentally dropped it in the garbage disposal. After once again, explaining to her that the poor ring just wasn’t made for everyday wear, she threw up her hands and exclaimed, “Talk to my husband!” So I did. I called Jake the next day. I described the situation to him, pointing out that Mona’s wedding ring just wouldn’t stand up to the rigors of ranch life. It just wasn’t that kind of ring. Jake asked me what we should do. I said he should surprise her on their anniversary with a proper, “ranch-strong,” new wedding ring. Without missing a beat, he said, “Let’s do it.” So we did. Two months later, Jake gave Mona her new wedding ring. The shank was wider and thicker and the low settings holding in the three top diamonds were built to last. 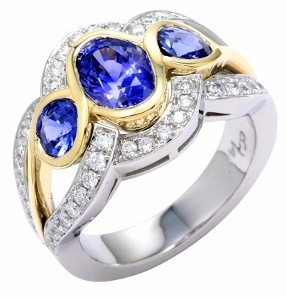 The ring was not only beautiful, it was strong and made to wear everyday. Mona was ecstatic and Jake was a hero. You may have guessed the moral of this story: Some rings like your wedding jewelry, are meant to wear everyday…some, only occasionally. If you’re shopping for wedding rings make sure you can tell the difference or work with a knowledgeable jeweler who will steer you in the right direction. 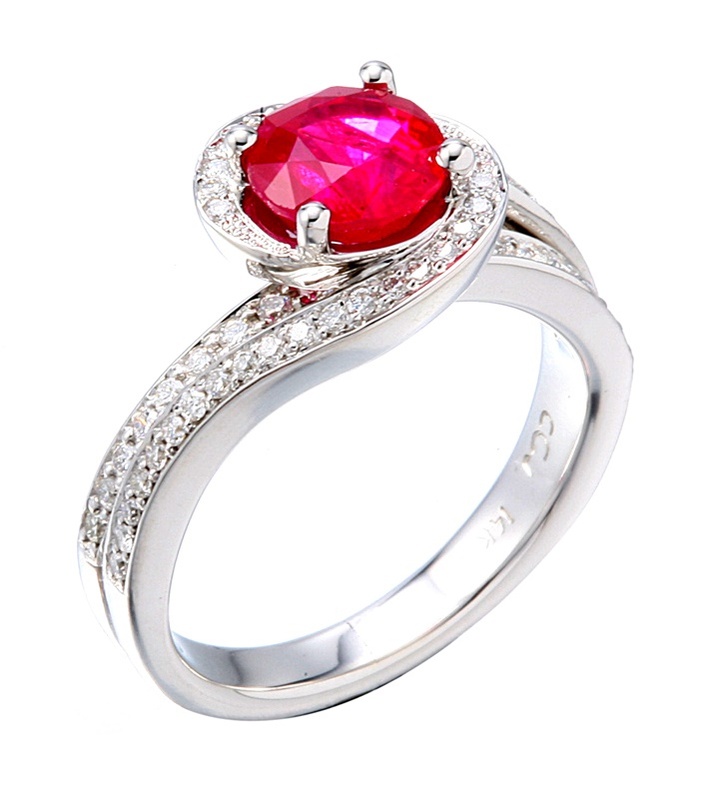 Check for the four pillars of a daily wear ring. “Pretty” isn’t enough for a wedding ring choice. Lasting is what you really want, just like your marriage! Broken Engagements – Who Keeps the Ring? I like Jake’s spirit: “Let’s do it!” Very useful advice regarding everyday jewelry and special occasion rings. I like Mona’s beautiful new ring! 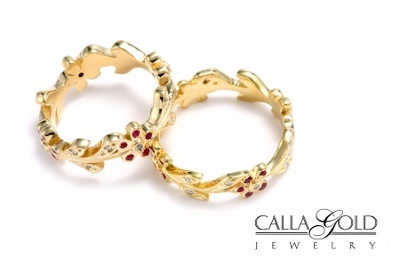 Thanks Calla Gold Jewelry for this informative blog post. Choosing an engagement and wedding ring seems so basic, but I can’t tell you how many people I know who don’t consider their everyday lives when they choose the ring of their life. Unless you can afford two different types of rings, it’s best to be a bit practical rather than learning the hard way that your wedding ring can’t hold up to your active lifestyle. I will definitely pass this knowledge on each time one of my clients plans to get engaged :). 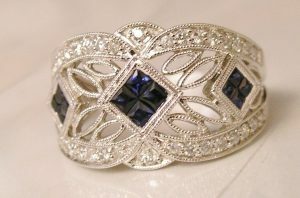 Filigree is so beautiful and delicate, intricate, and lace-like and an artistic design. It’s one of my favorites. 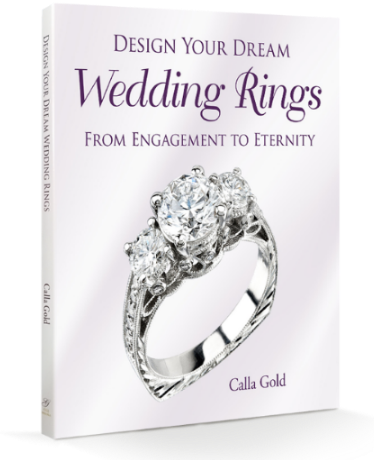 Calla I appreciate you talking about the suitability of different designs for use as wedding jewelry. I have seen rings that let my girlfriends down and now I know that they had occasion wear rings, and not daily wear suitable for wedding jewelry rings. Hmmm, maybe I need you to check mine. I forget to do that!